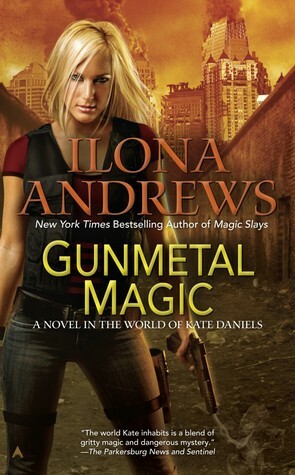 I am so excited to be giving away Gunmetal Magic by Ilona Andrews here on the blog! I really loved this book, and it will be a special treat for fans of the Kate Daniels series. 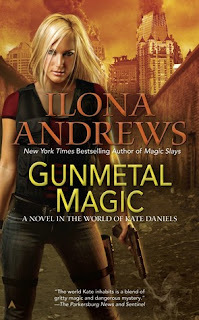 "Every bit as good as its predecessors, Gunmetal Magic adds a new dimension to the already fantastic Kate Daniels world. Once again Ilona and Gordon proved just how fantastic they are as writers, seamlessly blending action, romance, and humor into a story that cannot be put down once it is started. Gunmetal Magic is not to be missed!"